As the most important character of the 17th Centurys science revolution, we owe to Galileo Galilei some of the major discoveries in physics and astronomy. He’s considered the father of the modern science and had a fundamental role in promoting the Copernican theory, which made him suffer more than just a trial with the Roman Church. Within his many discoveries we find of course the Telescope, with which he was the first to observe Jupiter’s moons and the Moon’s mountains, and the calculation of the law of free fall. He was always working on his theories on the basis of experiment: Galileo was, in fact, the first “real” experimental scientist. He’s the perfect example of the modern man: despite his problems with the Catholic Inquisition, he went on with his studies and ideas, saying that if God endowed the humanity with intellect, people should have use it. These were really important admission for a 17th Century Italian, who was the son of a court musician and left the University of Pisa wihtout a degree. All the informations on his life and theories can be found here. Galileo Galilei was recently selected as a main motif for a high value collectors’ coin: the €25 International Year of Astronomy commemorative coin, minted in 2009. This coin also commemorates the 400th anniversary of the invention of Galileo’s telescope. The obverse shows a portion of his portrait and his telescope. The background shows one of his first drawings of the surface of the moon. In the silver ring other telescopes are depicted: the Isaac Newton Telescope, the observatory in Kremsmünster Abbey, a modern telescope, a radio telescope and a space telescope (source: Wikipedia). For this occasion, from the 13th March to the 30th August, a special exhibition of 250 of his works, objects and instruments will be open to the public at Palazzo Strozzi, in Florence. 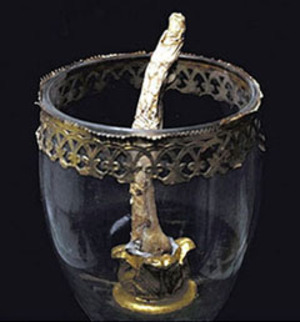 There you will also have the possibility to see Galileo’s finger, which has been taken from his dead body by Anton Francesco Gori in 1737. To have more informations, click here. The Institute Galilei devoted its name to this illuminated scientist, who could change the vision of the world also in a period of strong restrictions.